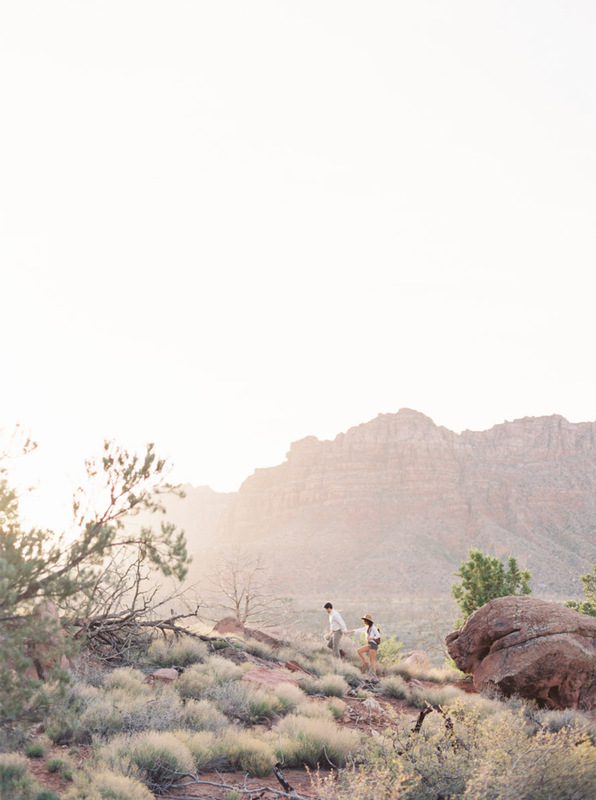 Being a destination film wedding photographer, I always encourage my clients to select a location for their engagement photos that really accentuates them as a couple. 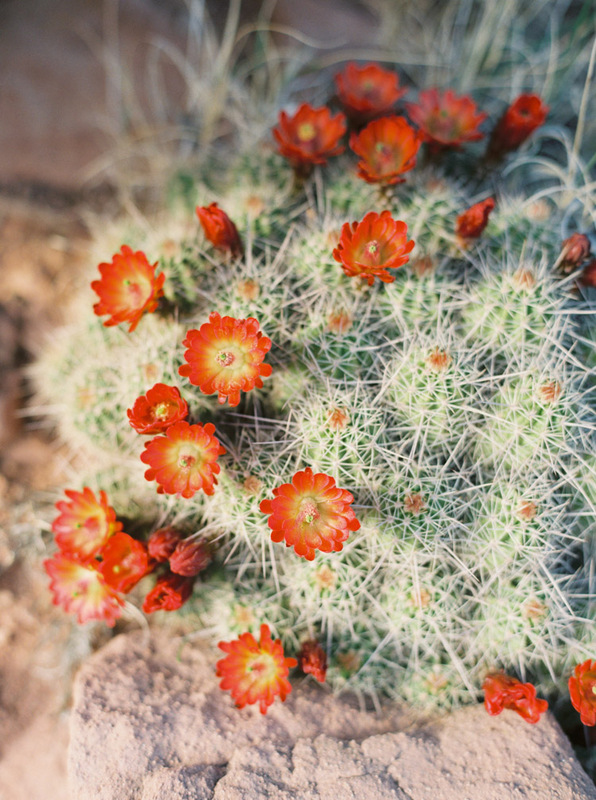 To me, there is nothing better than embracing a hobby or activity they enjoy, and using that to make amazing photos! 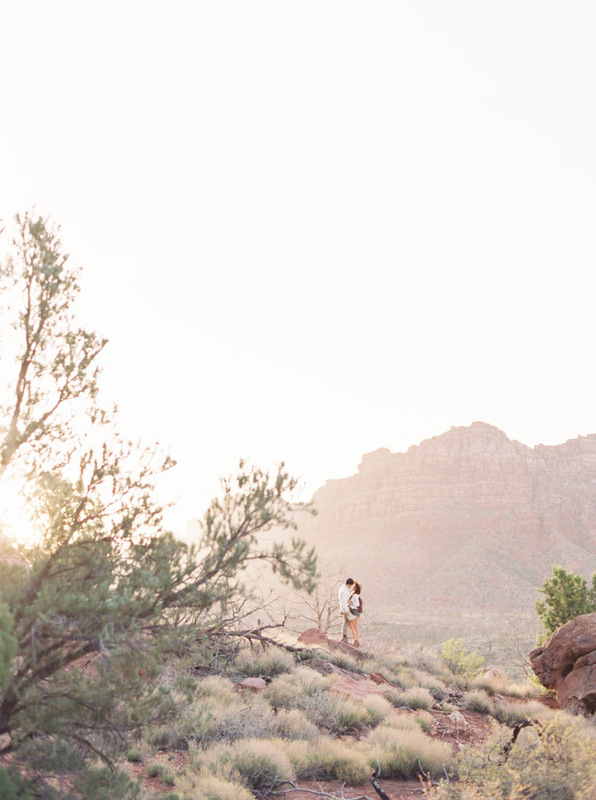 Zion National Park makes for the most outstanding backdrop for hiking engagement photos. 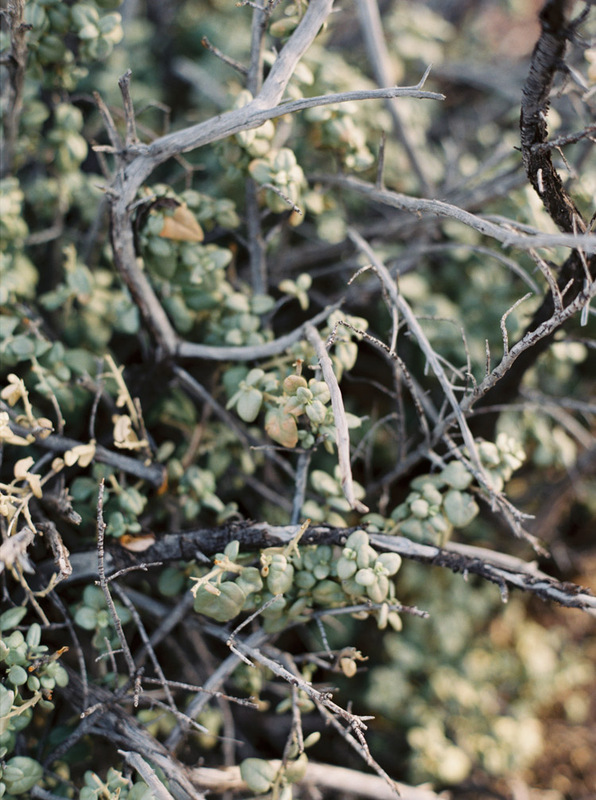 And when you add in some early morning light, film and hiking, you get images like this. Pure love! 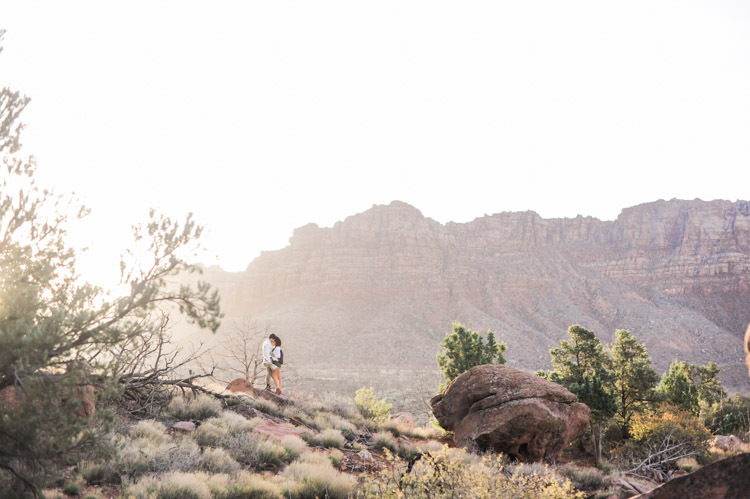 I love to travel with my couples to any location – including being a Zion elopement photographer – to make their memories happen. 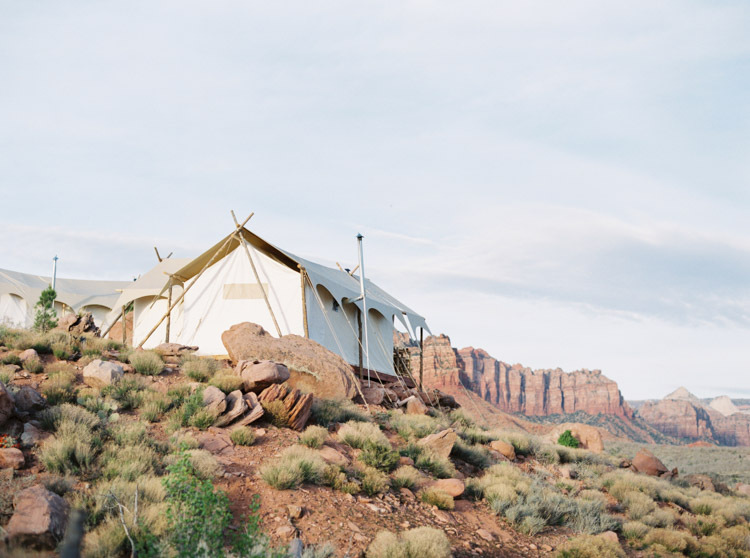 Jade and Jordan’s location at Under Canvas Zion was perfection. 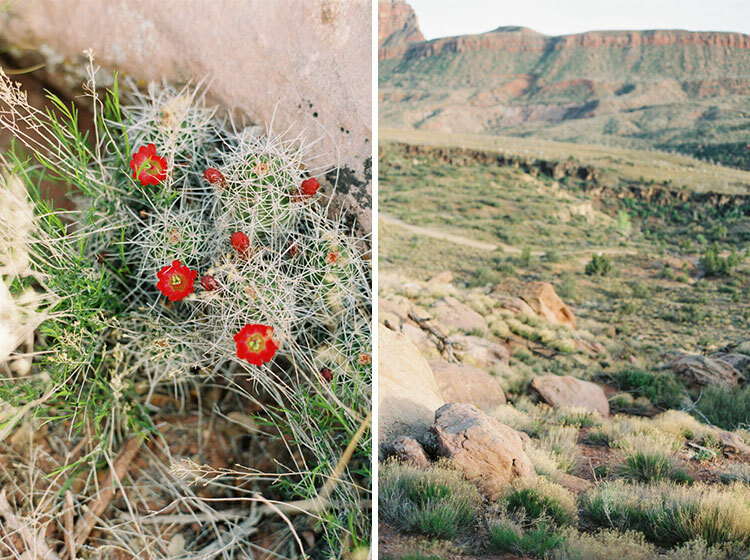 We hiked in the gorgeous red and orange rocks just after sunrise to get some amazing images of them together. 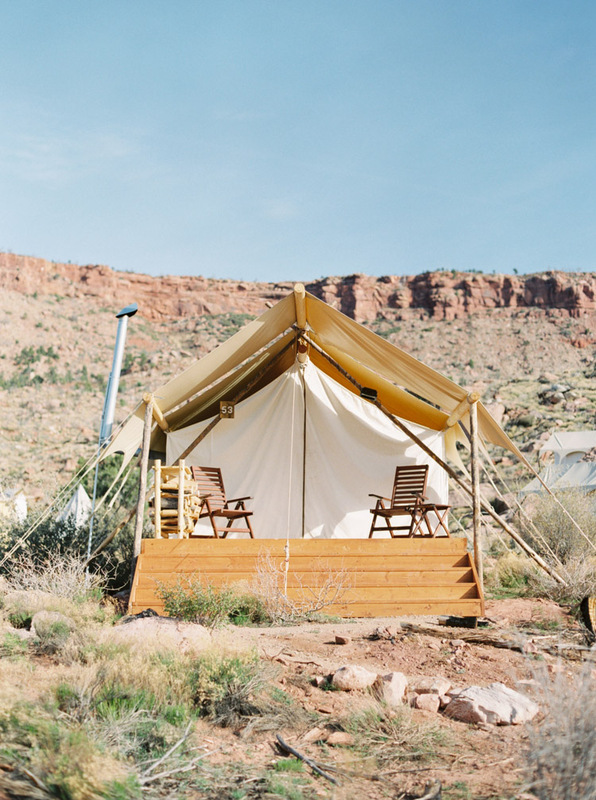 Under Canvas Zion offers so much to work with, including adorable glamping tents, rocks for miles and views that are unbeatable. 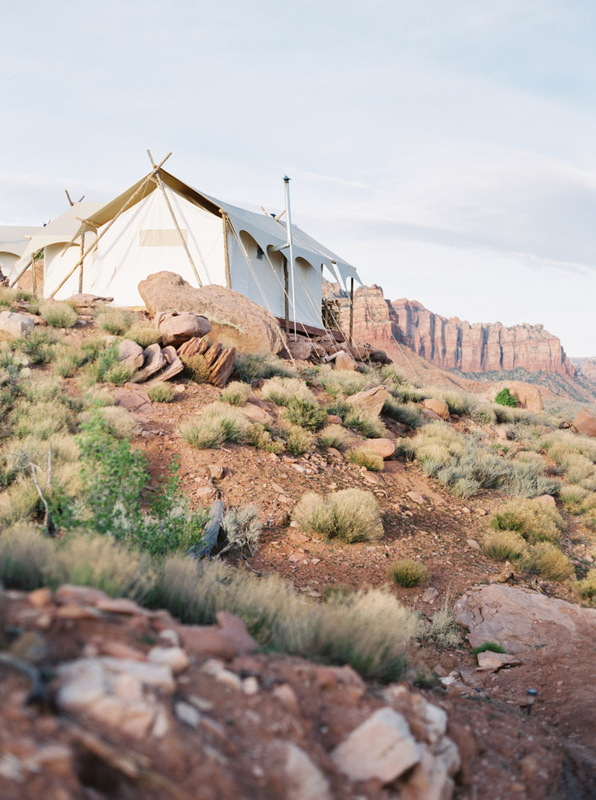 Whether you are doing Zion engagement photos, a Zion elopement or a Zion wedding, I highly recommend staying at Under Canvas Zion! It’s the perfect location from the park, and gives you all the great feels of camping with luxury. 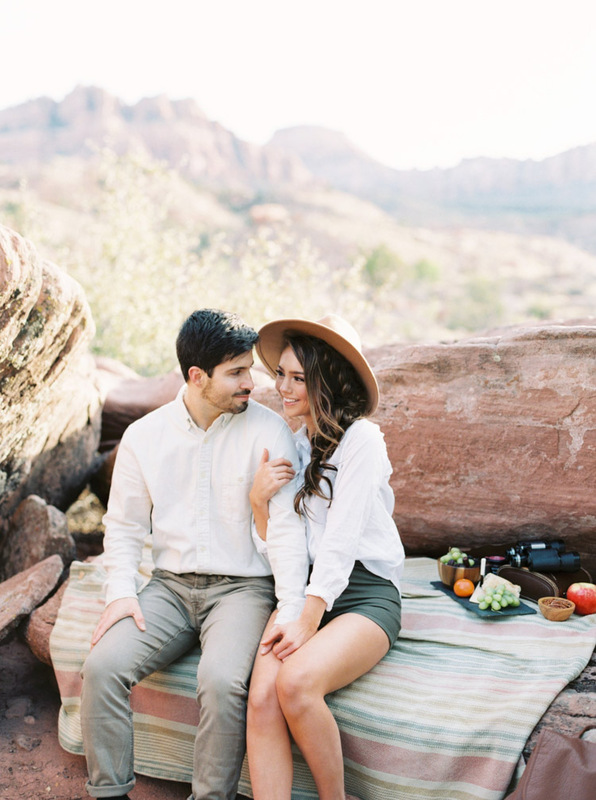 Jade and Jordan’s Zion engagement photo session, styled by Forevermore Events and Tyler Rye from his workshop, allowed the couple to show some fun candid moments hiking and also be refined for beauty. 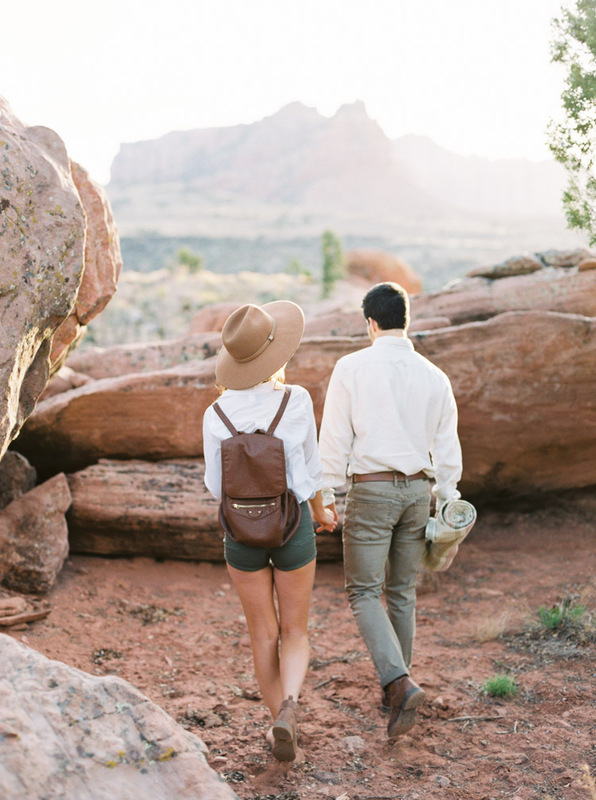 They styled Jade in an effortless look with a floppy hat, backpack and hiking boots. 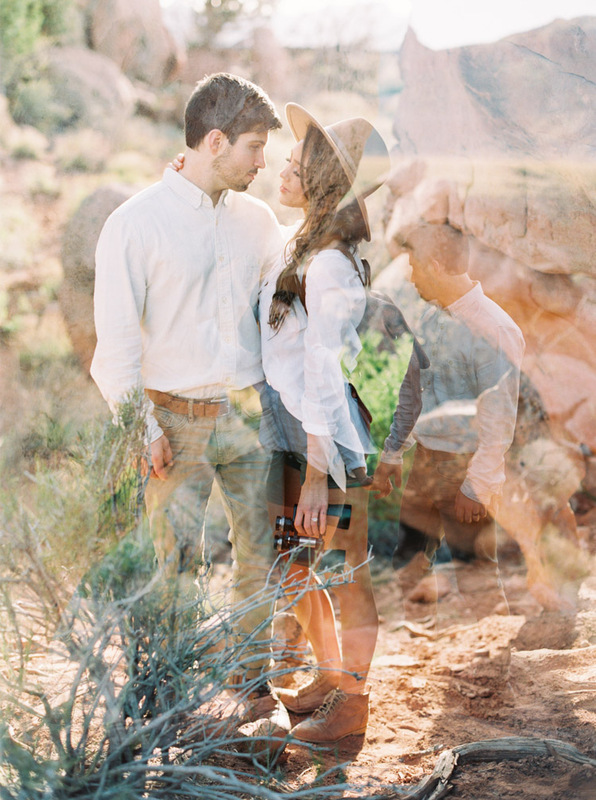 This Under Canvas engagement session was one of my favorite shoots delivered back to me from my film lab, Photovision Prints. To see more of our Utah journey with this incredible team, check out the other posts on my blog. 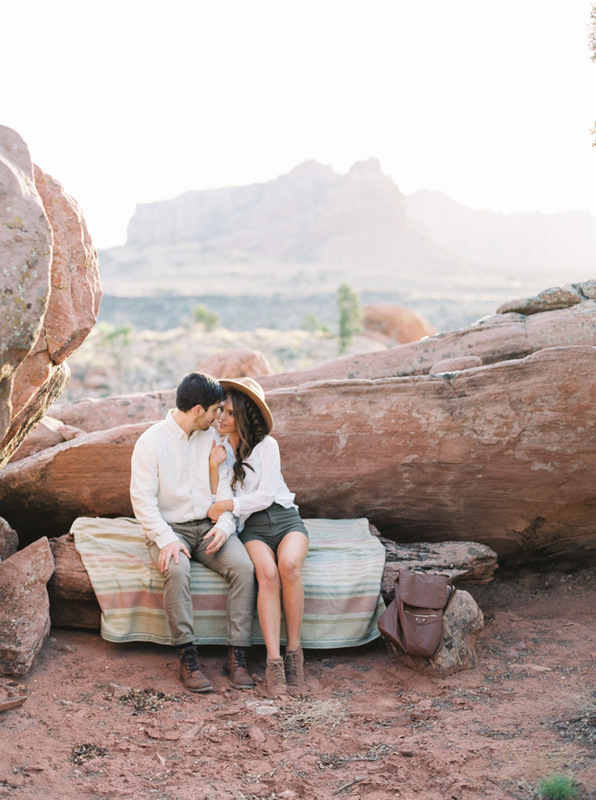 They include a Zion elopement and Zion honeymoon photo session!